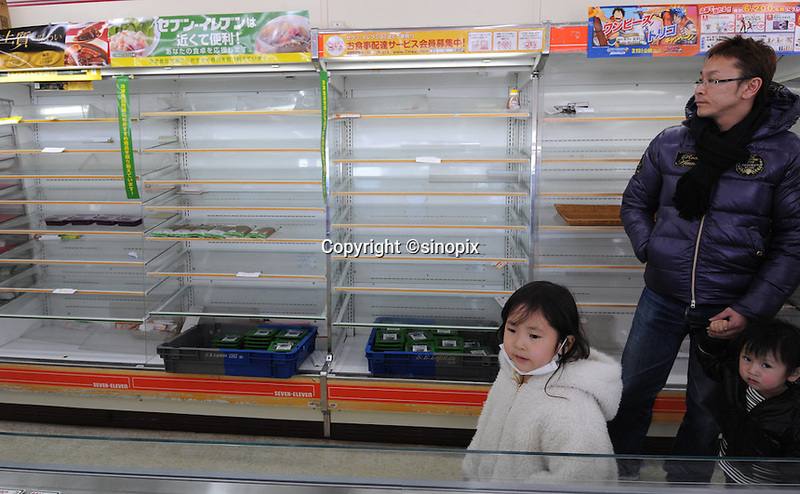 Empty shelves at a small supermaket in Fukushima city, about 60 km from the Fukushima Daiichi Nuclear Power Plant. Plant was damaged during the Earhquake and following Tsunami that struck Japan on 11th March 2011. With no power or running water and limited supplies of food, people in affected regions are surviving on little food and water, many supermarket stores are queued up with clients buying food and beverages and the stores didn't have many supplies left.